When did we speak about Sapphire Technology's products last time? It was quite long ago. Today we've got an interesting suite of video cards. By the way, C.P.Technology won't be left aside either. I'm not going to blame anybody but believe me, I do have the reason. You all know that the RADEON 9800 PRO is a super accelerator with an incredible speed in shaders, a usual cooler and an impressive price. Many heard of it, but few saw the real card. Why do the prices for High-End cards keep on growing? Do they think that wages are getting higher that fast? Or they decided to kill the sales? Masochists end up badly, as you know: Hercules Computer, 3dfx Interactive, S3 (without VIA)... (Diamond Multimedia! It was such a great trade mark! ). Gainward probably aims the same target with its $1000 video card with a water cooler. When the RADEON 9700 PRO was just released, the prices could be justified as there were no competitors. 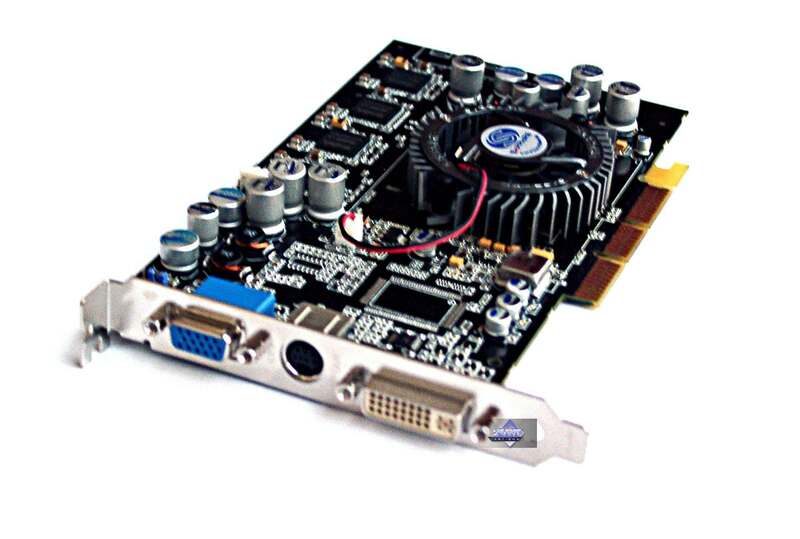 Today we have the GeForce FX 5900 and previous versions of the 9700 PRO... The price is anyway too high. Later they will complain about 0.5% of sales... Who's going to pay so much for a piece of textolite able to execute some Assembler programs per clock just for the sake of more realistic 3D water? I'm well aware that development, researches, scientific works, designing requires a lot of money. But High-End cards never exceed $300 before! Memory is expensive, that's right... But earlier it wasn't cheap either for High-End products. The card makers are getting more impudent. Poor users... accelerators are getting less affordable. Vendors also suffer as they get little profit. We are waiting for the FX 5200 to make DX9 games more playable, but it's only RADEON 9600/FX5600 and higher versions which can ensure a more or less appropriate speed in DX9. By the way, you can get more information on the RADEON from the reviews listed below. Even the release of products weaker than the RADEON 9800 PRO mustn't slow down the price falling. 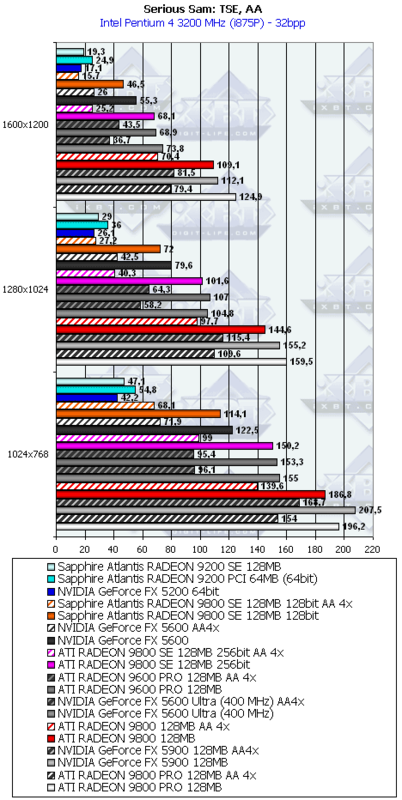 But if NVIDIA doesn't wish to cut prices for its FX5900 which have a lower shader speed, I have nothing to say about ATI. So, let's get back on the track. 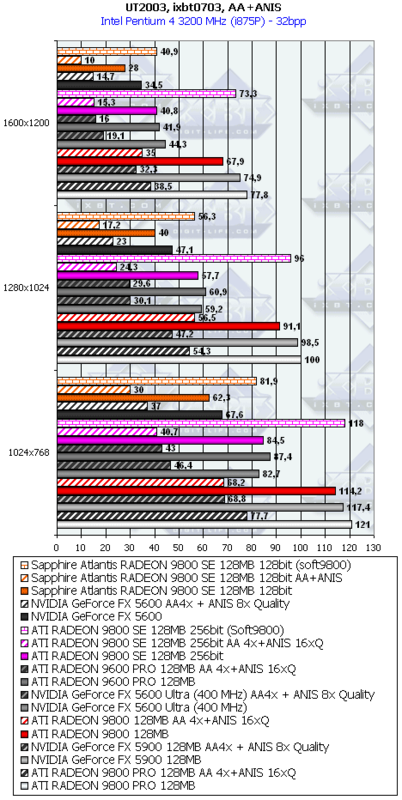 Today we have only RADEON 9600 PRO and 9600 within the DX9 line which are weaker than the RADEON 9800 PRO. But these cards are much cheaper than the RADEON 9800 PRO. So, what will be between them? 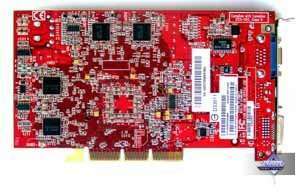 RADEON 9700 PRO/9700 based cards are not produced anymore. 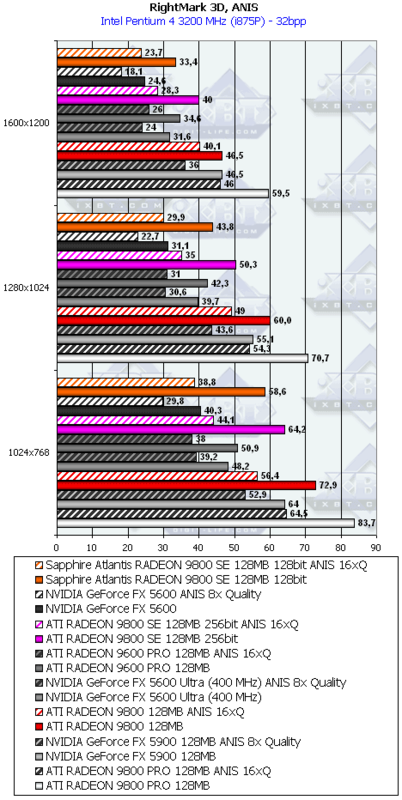 One of the expected solutions was the RADEON 9800 with lower clock speeds. The same PCB comes with cheaper and slower memory (3.3ns) and chips clocked at 325 MHz (i.e. which do not operate properly at 380MHz). 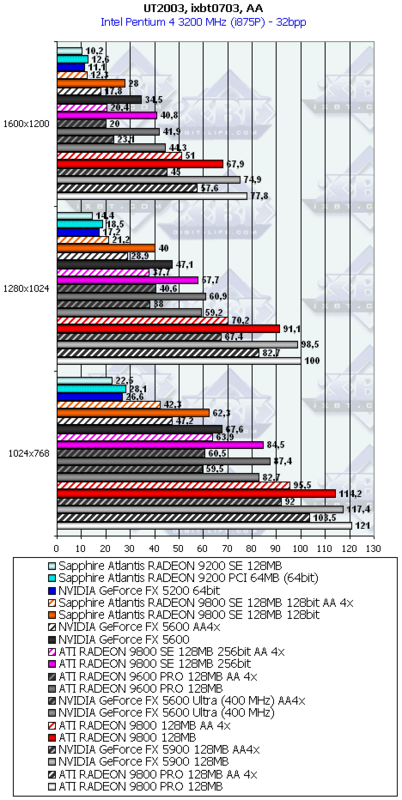 The solution is similar to the RADEON 9700 PRO though the clock speeds are 325/590 MHz instead of 325/620. But the difference is almost unnoticeable. 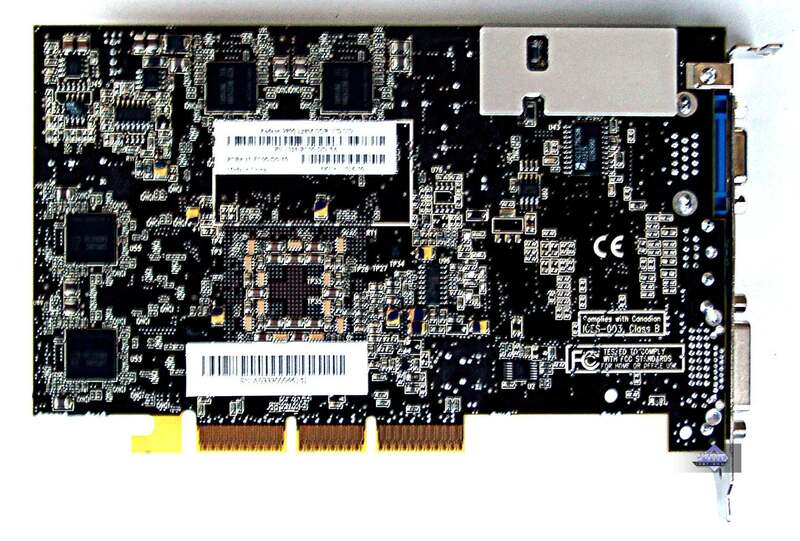 The gap between $300 and $350 is now filled up, and the 9700 PRO is done away with. 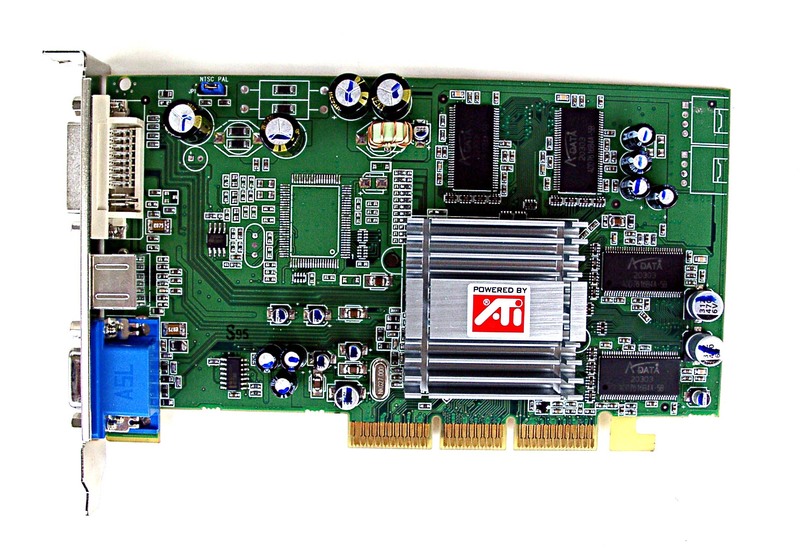 For the $220 to $270 niche ATI used a different approach, like that for the RADEON 9500. 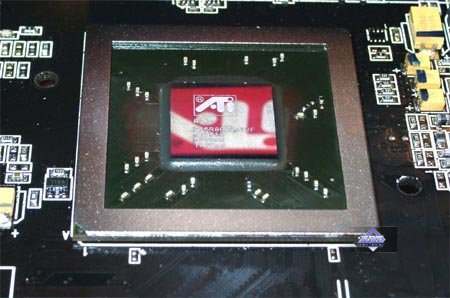 When all working chips were selected out from the cullage of the RADEON 9800 PRO for the RADEON 9800 (the chips had just lower clock speeds) the next stage was to select cores with a defect in rendering pipelines or in the HSR unit. 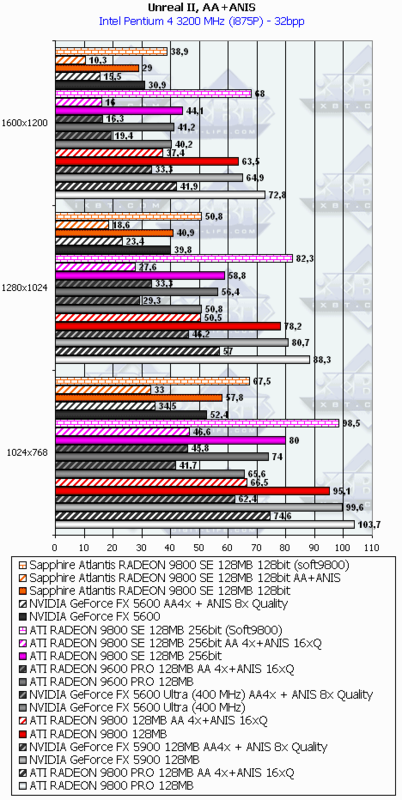 Like the RADEON 9500, such R350 had half of the processor disabled and was named RADEON 9800SE... But where is it used? 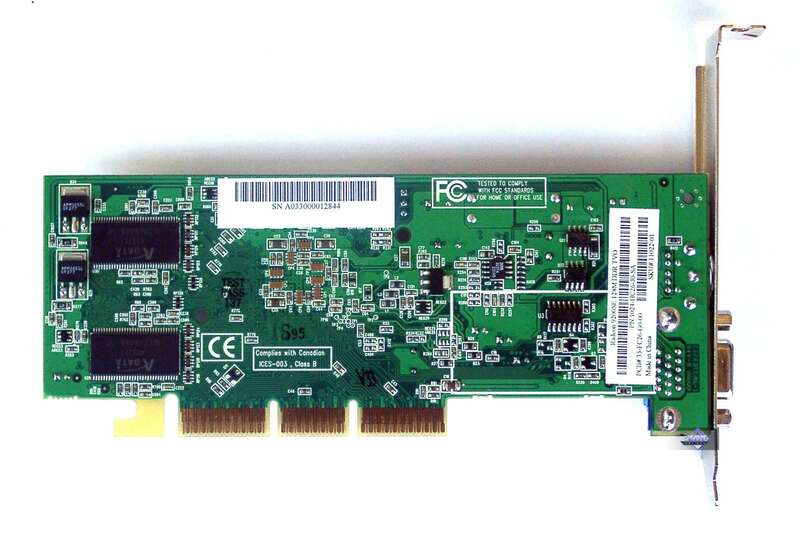 We will see that the 9800SE can be used for different PCBs to get different cards but under the same name. 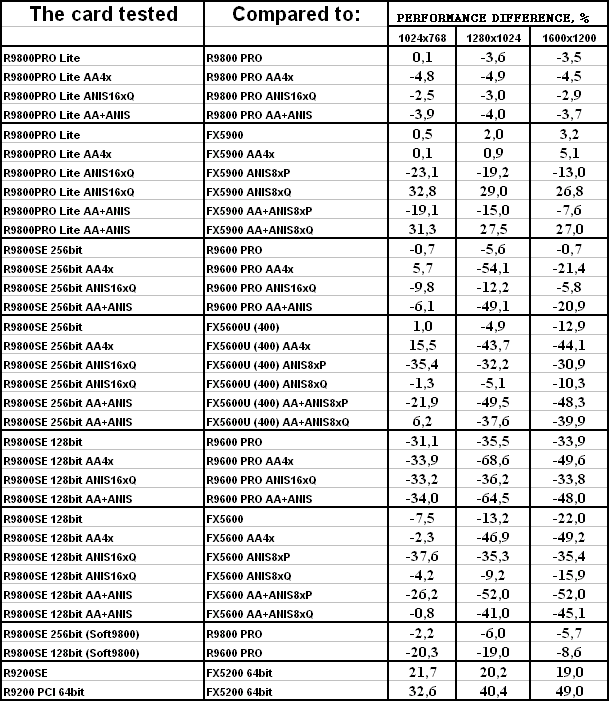 You can see from the headline that there are 256bit cards based on the 9800SE and there are 128bit models. Moreover, such cards have different clock speeds. But ATI has nothing to do with it. It's the intrigue of the Chinese card makers who were allowed to use the cullage for the internal market only. 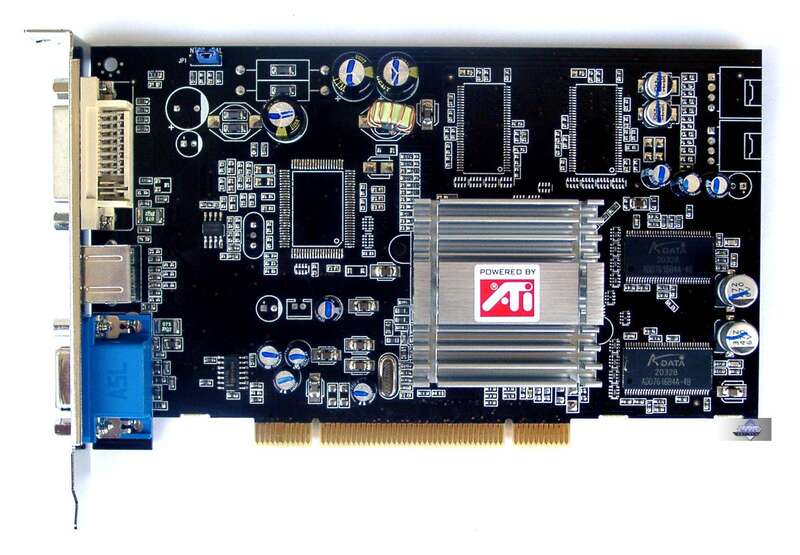 If you remember, ATI also kept silence about the RADEON LE as if they weren't aware where PC Partner (their premier partner) could take such chips from. I'm sure if I raise a discussion around the situation with TWO RADEON 9800SE (actually, three) RADEON 9800SE chips, (like it was with NVIDIA's two GeForce FX 5600 Ultras) ATI will answer they are not in change of it! Nevertheless, I doubt that the Canadian company knows nothing about it and has no means to influence the situation. They simply don't care about users. At price.ru you can find various kinds of the 9800SE, some with the information on the bus, others without, ar the similar prices. Some RADEON 9800SE are even offered just at $140(!). What's it? The dealers, even if they get cards at $130 will sell them at least at $220 to keep together with the rest. Marketers have lost the control over the situation and do not know what cards and where are selling.. It's possible to trace them only according to the P/N. That's why the P/N should be indicated in the pricelists as a distinguishing feature of such cards. The low-level cards will be tested as well. 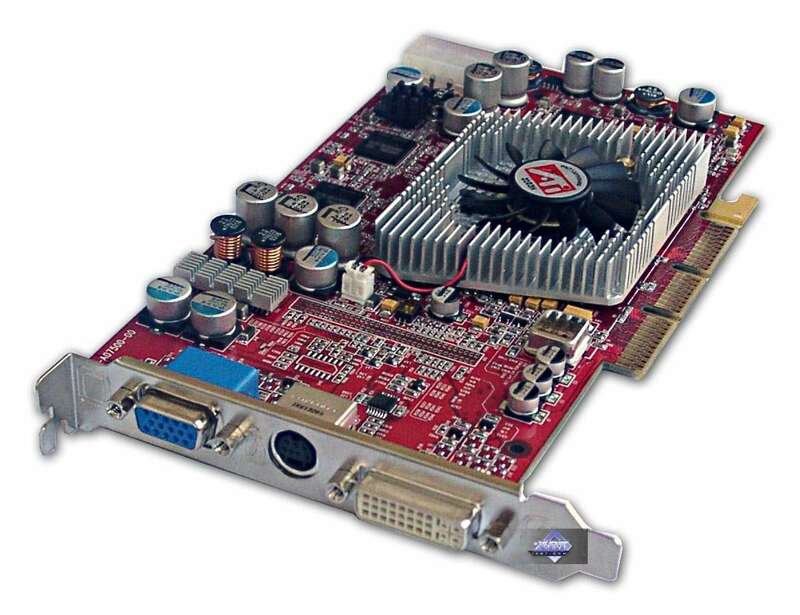 It's especially interesting to test the RADEON 9200 with the PCI limited by the 64bit bus. 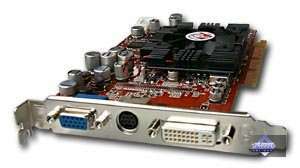 Also we have the widely known RADEON 9200SE coming from Sapphire's factory. The companies themselves need no introduction. Sapphire Technology is a well known brand name after ATI. 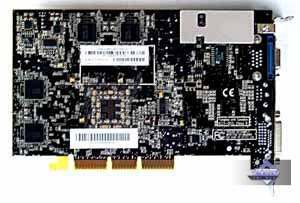 It makes a wide range of high-quality products, but its solutions often have unpredictable combinations of core and memory clock speeds and memory bus bandwidth. C.P.Technology which is known due to its popular PowerColor trade mark was recently restructured and now offers a broad range of products ATI is actively promoting now. 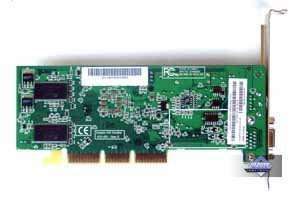 PCI interface, 64 MB DDR SDRAM memory in 4 chips on both PCB sides. 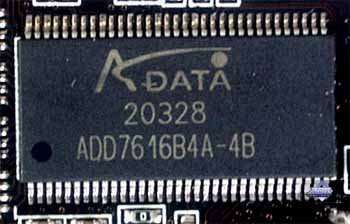 A-Data 4ns memory chips, it corresponds to 250 (500) MHz, but the memory works at 200 (400) MHz. GPU clocked at 250 MHz. The memory bus is 64bit!!! 64MB results from halving the memory chips (see free space on the PCB), each chip is 16 bits, which totals 64 bits. 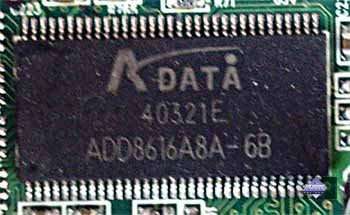 A-Data 6ns memory chips, it corresponds to 166 (333) MHz, and the memory does work at this clock speed. GPU clocked at 200 MHz. 64bit memory bus. 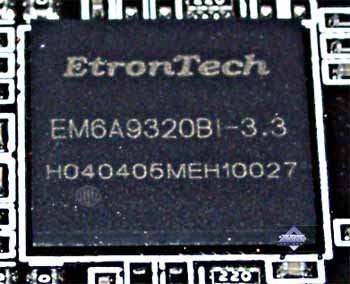 EtronTech 3.3ns memory chips, it corresponds to 300 (600) MHz but the memory works at 270 (540) MHz. GPU clocked at 325 MHz. 128bit memory bus. Note that there are 4 rendering pipelines instead of 8! 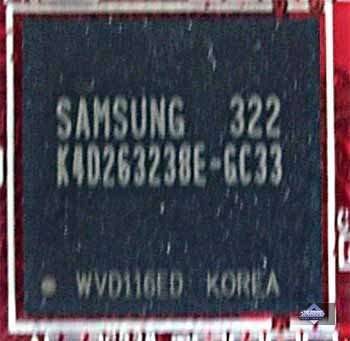 Samsung 3.3ns memory chips, it corresponds to 300 (600) MHz but the memory works at 290 (580) MHz. GPU clocked at 325 MHz. 256bit memory bus. 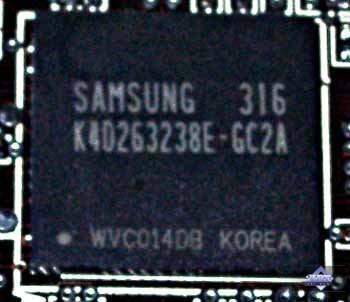 Samsung 2.8ns memory chips, it corresponds to 350 (700) MHz but the memory works at 340 (680) MHz. GPU clocked at 380 MHz. 256bit memory bus. 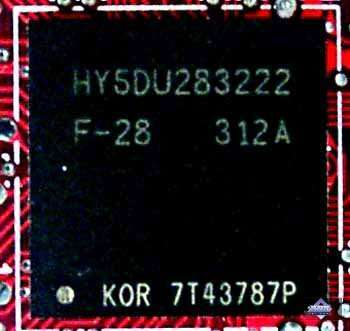 Hynix 2.8ns memory chips, it corresponds to 350 (700) MHz but the memory works at 340 (680) MHz. GPU clocked at 380 MHz. 256bit memory bus. Note that there are 4 rendering pipelines instead of 8! 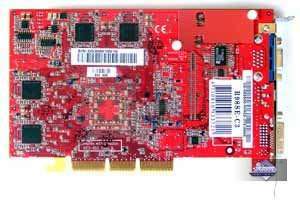 RADEON 9200 PCI is similar to the reference RADEON 9200, and the 64bit bus is used as half of the memory chips are removed. 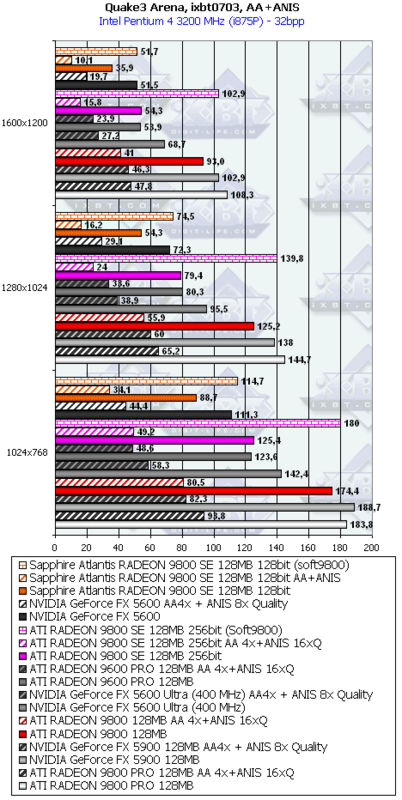 RADEON 9200SE has a low-profle design. 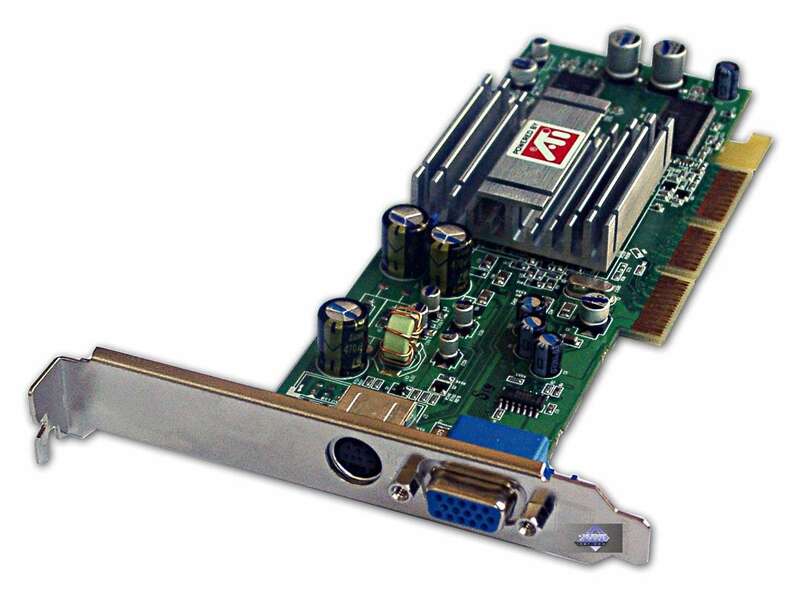 Sapphire's solution is deprived of two heads, in contrast to the earlier tested cards, and of a DVI-out. 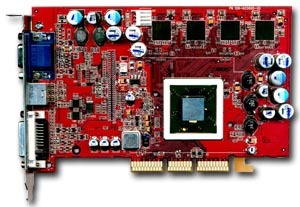 Sapphire's RADEON 9800SE is built on a special PCB based on the one used for the RADEON 9500 PRO. 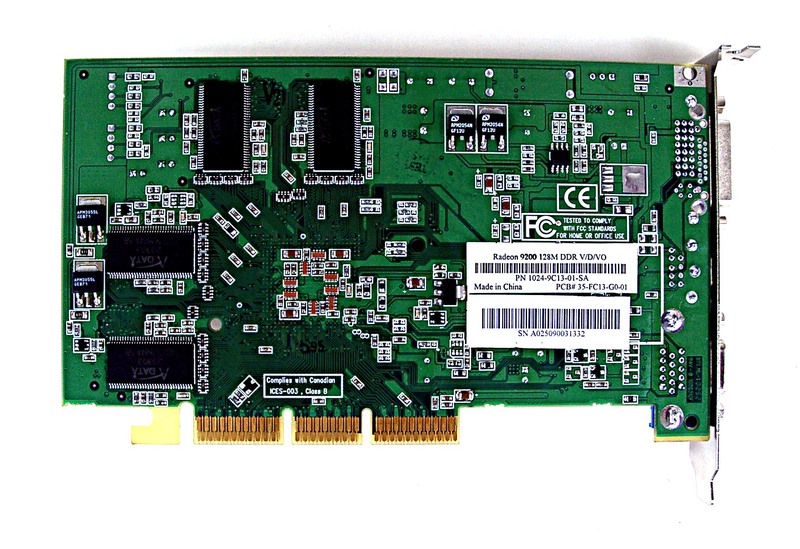 That is why the card has the 128bit memory bus. Unlocking 4 rendering pipelines results in a hybrid which must be more efficient than the RADEON 9500 PRO due to the speeds of 325/570 MHz. 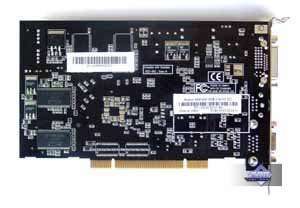 RADEON 9800 is a version of the RADEON 9800 PRO with lower clock speeds (the PCB is the same). 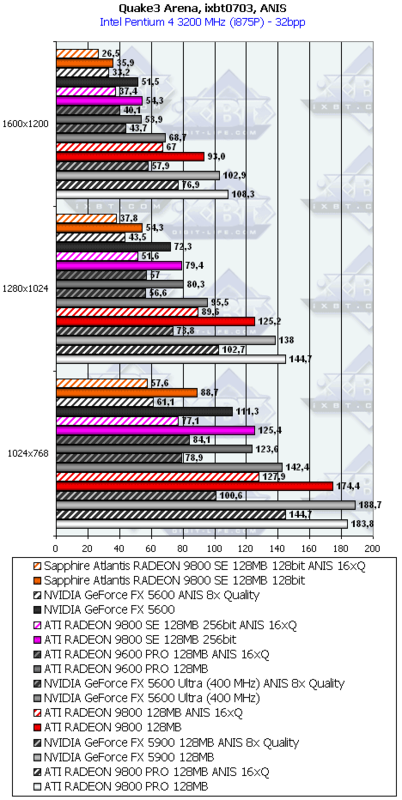 RADEON 9800 PRO Lite is Sapphire's unique product. 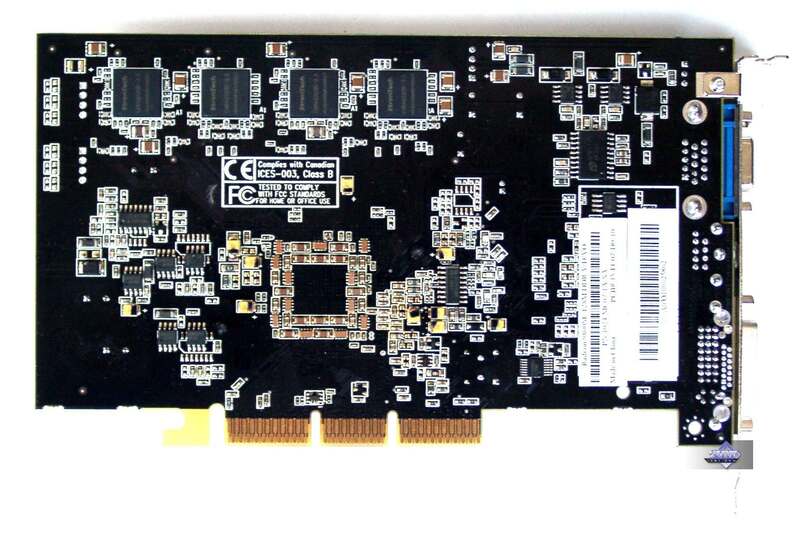 Actually, all components of the RADEON 9800 PRO are moved to the altered PCB of 9700 PRO which has a place for the RAGE Theater, and such cards can be equipped with VIVO. 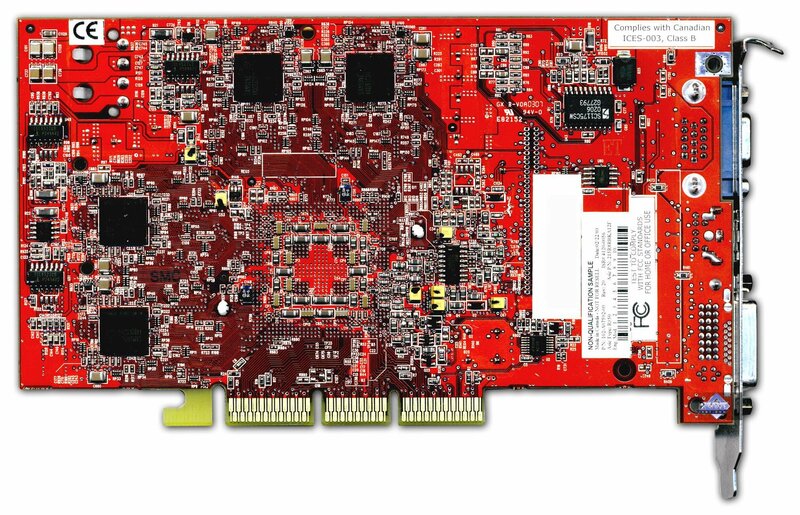 But if the card of the old design works perfectly why did they make a new one for the RADEON 9800 PRO? I think it's one of Sapphire's tricks ATI shuts its eyes to. The most notable is the price. It's $70 lower compared to an average card based on the 9800 PRO. 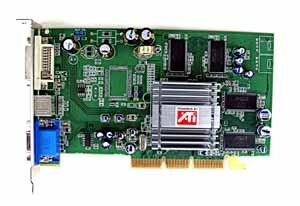 I think that such card was ordered by some assembler who then brought them to the gray market, and quick dealers made use of it. 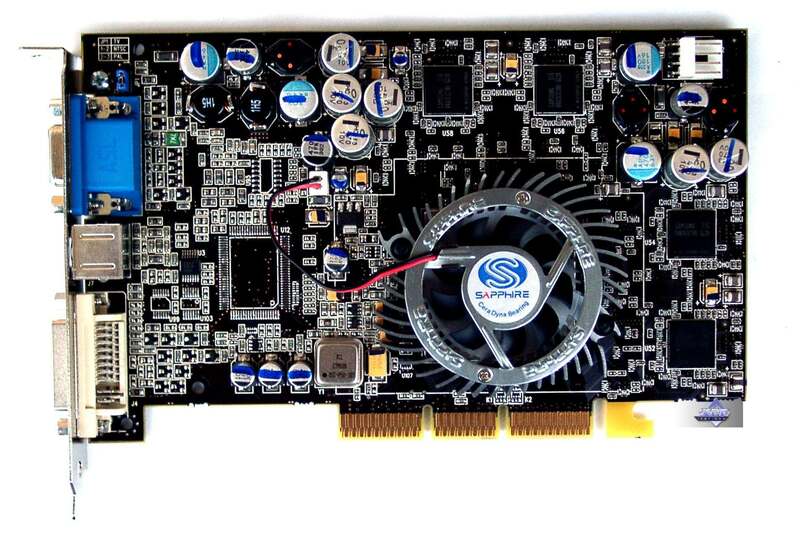 But such cards weaken sales of Sapphire's 9800 PRO based cards, that is why they can quickly disappear. 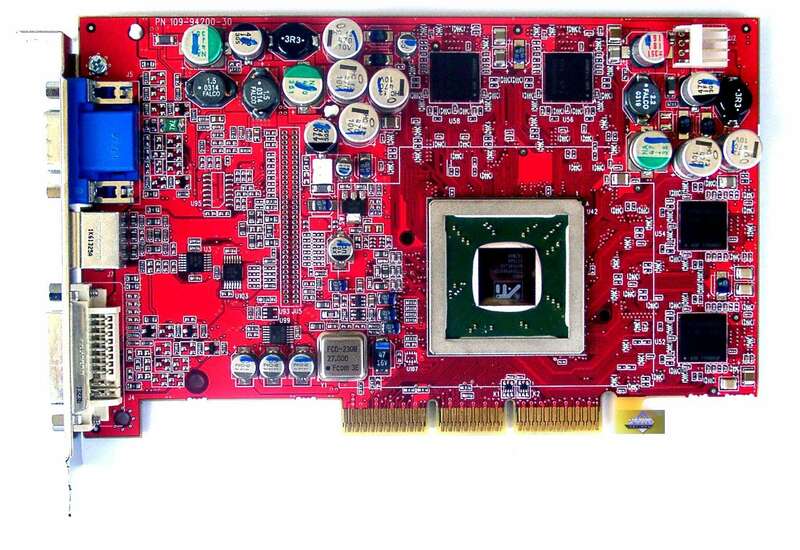 PowerColor RADEON 9800SE has a 256bit bus as it's based on the 9700 Pro's PCB. Unlocking the rendering pipelines turns it into a normal RADEON 9800 PRO (though the tests show that speed is a bit different). Both RADEON 9200/9200SE cards have ordinary sinks without fans, the other cards from Sapphire have a proprietary silvery cooler. PowerColor's solution has a black sink with a fan in the center typical of the 9700 PRO. While it's not worth removing sinks from the RADEON 9200/9200SE, it's really interesting to have a look at the mirror surfaces of the RADEON 9800/9800SE (on the first photo you can see ATI's color logo which is not attached with a graphics editor, but it's taken close to the card and die reflects it). In most cases the cards sell in OEM packages, i.e. they have only software CDs, TV extension cords and adapters supplied. 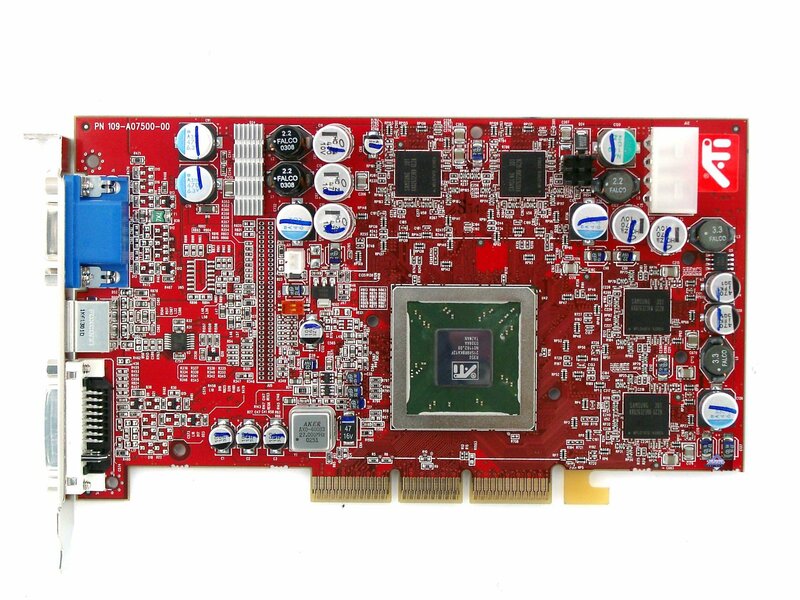 Hercules 3D Prophet 9800 Pro (RADEON 9800 PRO, 380/340 (680) MHz, 128 MB DDR). ASUS V9950 Ultra (GeForce FX 5900 Ultra, 450/425 (850) MHz, 256 MB DDR, driver 52.10). 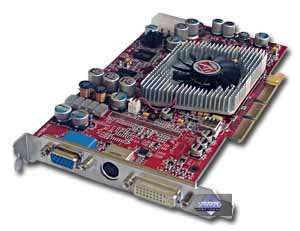 Albatron Gigi GeForce FX 5900 (400/425 (850) MHz, 128 MB DDR, driver 52.10). 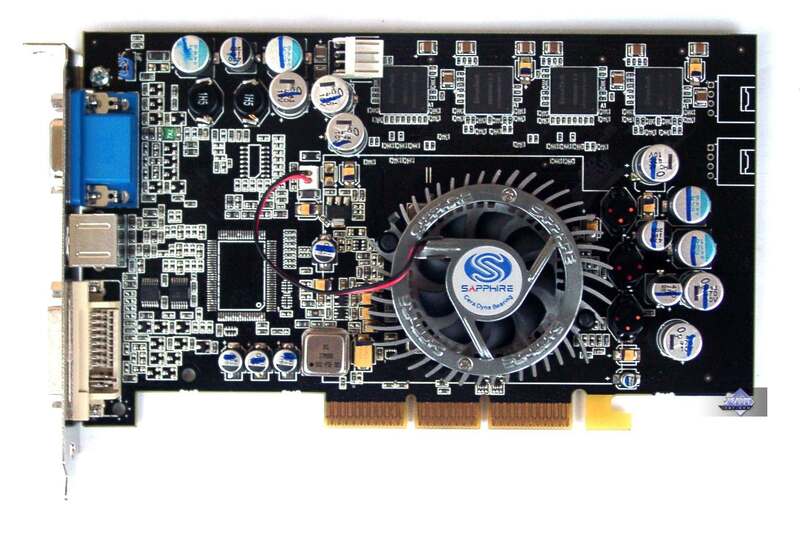 ABIT Siluro FX5600 Ultra OTES (GeForce FX 5600 Ultra, 400/400 (800) MHz, 128 MB DDR, driver 52.10). 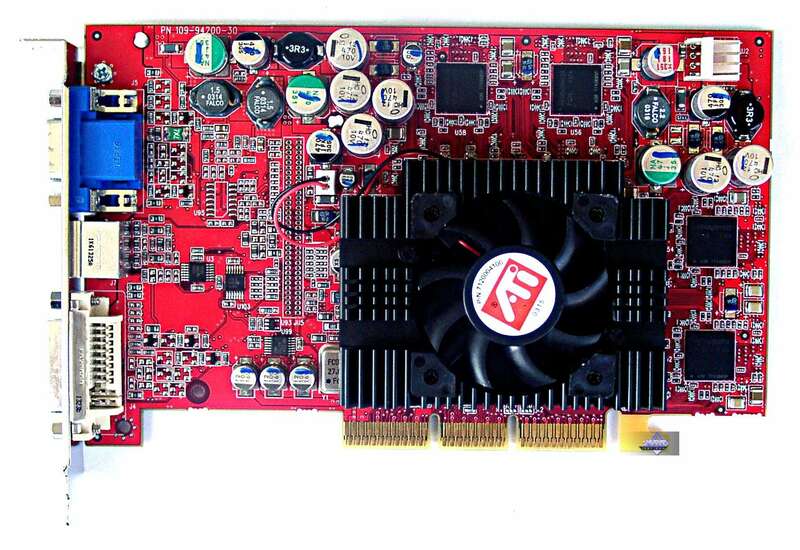 MSI FX5600-VTD (GeForce FX 5600, 325/275 (550) MHz, 128 MB DDR, driver 52.10). 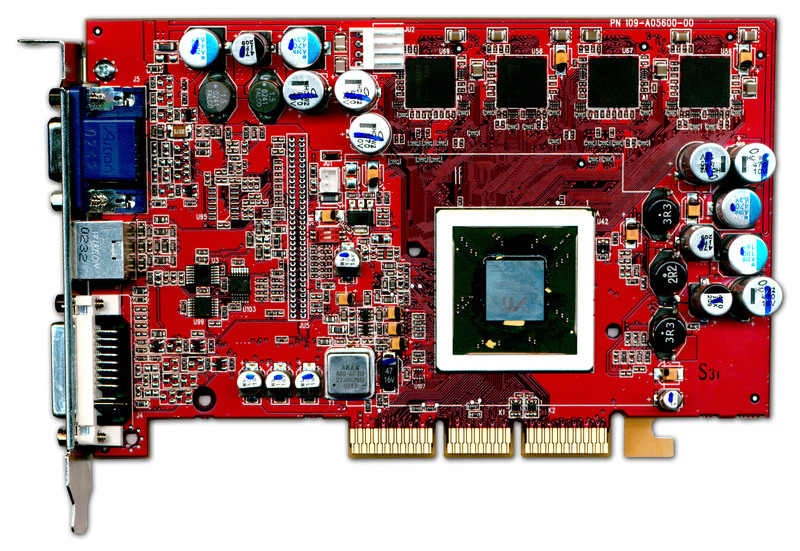 Hercules 3D Prophet 9600 Pro (RADEON 9600 PRO, 400/300 (600) MHz, 128 MB DDR). 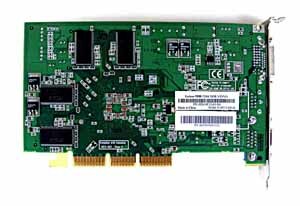 ASUS V9250 Magic (GeForce FX 5200, 250/166 (333) MHz, 128 MB DDR 64bit, driver 52.10). RADEON 9800 PRO Lite falls behind the basic RADEON 9800 PRO which can be explained by different PCBs and memory timings. 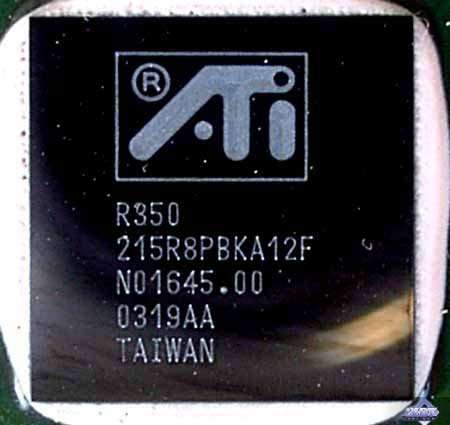 ATI's flagships lose to the GeForce FX 5900. It a unique case when the RADEON 9800SE with a 256bit bus loses to the RADEON 9600 PRO with a 128bit bus exactly in the AA mode! Something must be wrong with the drivers. In the heavy mode it loses too, as well as to the GeForce FX 5600 Ultra (400 MHz). Unlocking the pipelines brings this card very close to the RADEON 9800 PRO. 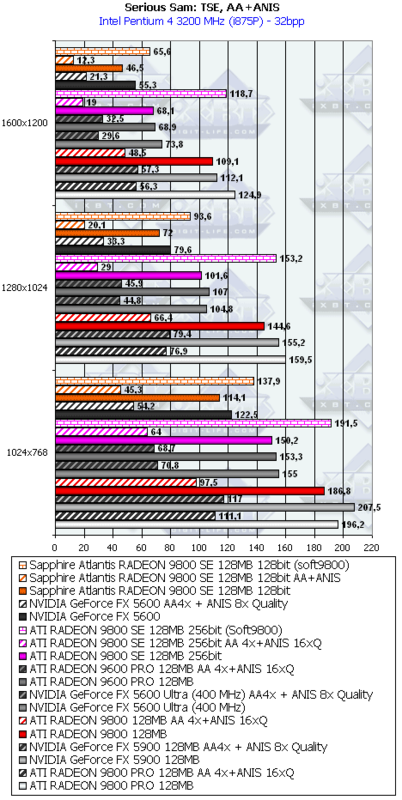 The RADEON 9800SE with the 128bit bus looks very weak compared to the RADEON 9600 PRO (325 MHz vs 400 MHz). It loses to the FX 5600 too. 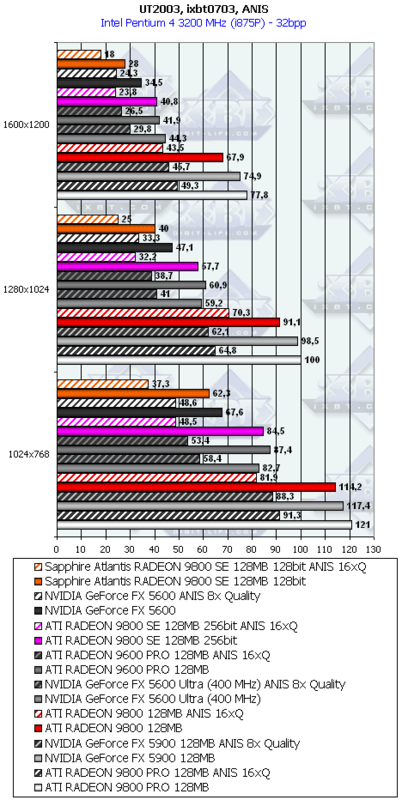 The pipeline unlocking didn't help the RADEON 9800SE outdo the RADEON 9600 PRO. 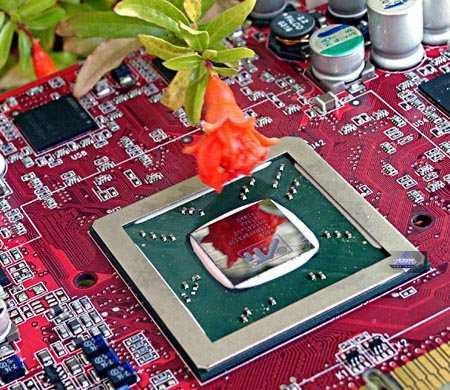 The 9200 and 9200SE cards lost to NVIDIA's counterpart. The RADEON 9800 PRO Lite is again behind the RADEON 9800 PRO and GeForce FX 5900. The RADEON 9800SE with the 256bit bus loses to the RADEON 9600 PRO card with the 128bit card in AA once again! In the heavy mode it loses too, as well as to the GeForce FX 5600 Ultra (400 MHz). 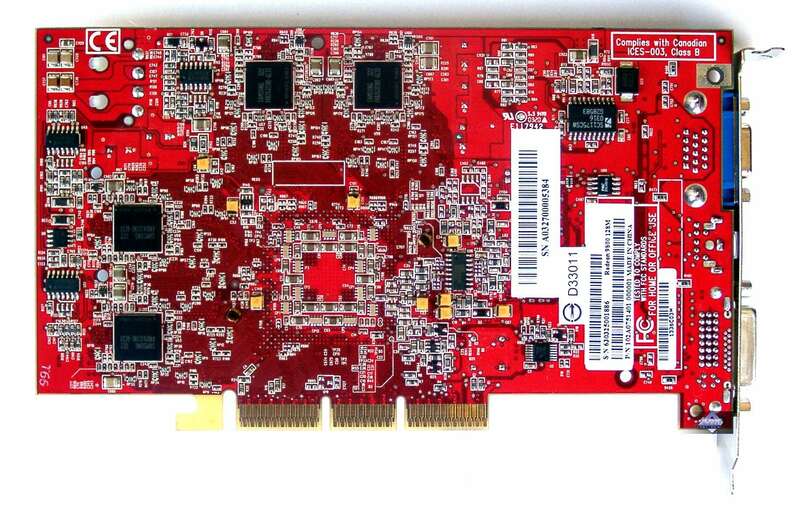 Unlocking the pipelines brings this card very close to the RADEON 9800 PRO. 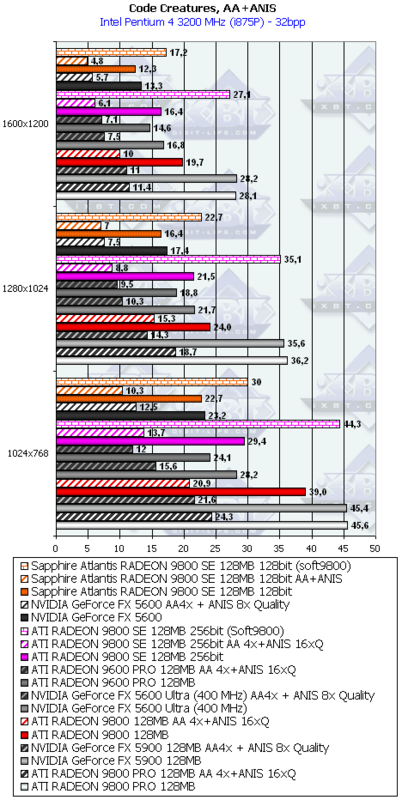 The RADEON 9800SE with the 128bit bus loses to all its competitors. The pipeline unlocking didn't help the RADEON 9800SE outdo the RADEON 9600 PRO. The 9200 and 9200SE cards finally outscore NVIDIA's FX5200 64bit card. The RADEON 9800 PRO Lite is still weaker than the RADEON 9800 PRO. 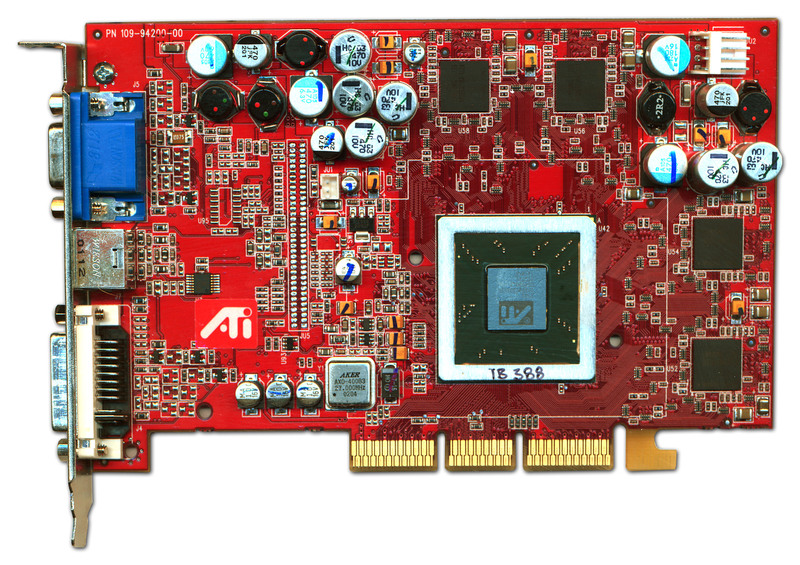 As to comparison with the GeForce FX 5900, ATI's solution beats it in the heavy anysotropic modes. 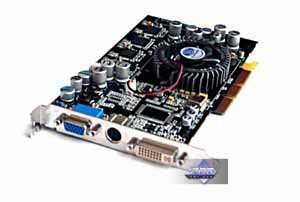 The RADEON 9800SE with the 256bit bus loses to the 128bit RADEON 9600 PRO card again, as well as to the GeForce FX 5600 Ultra (400 MHz). 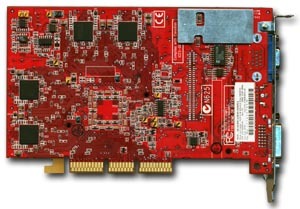 With the pipelines unlocked the card becomes almost equal to the RADEON 9800 PRO. 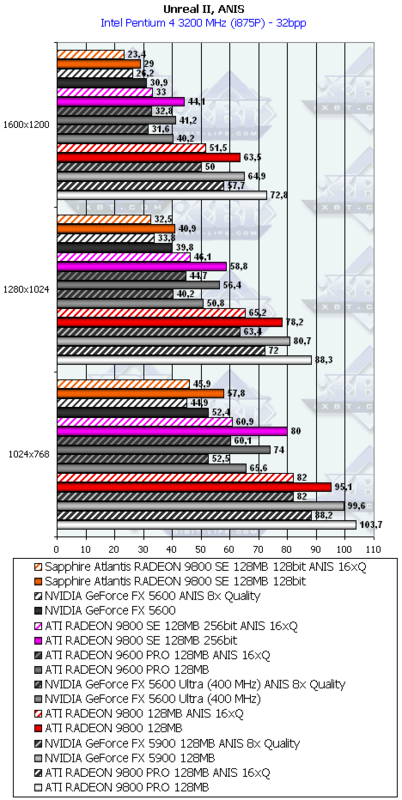 The RADEON 9800SE with its 128bit bus loses to everyone again. The pipeline unlocking doesn't help. 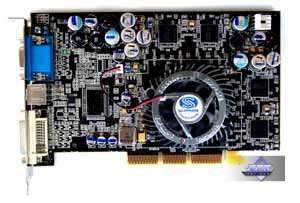 The 9200 and 9200SE cards beat NVIDIA's solution. Sometimes the RADEON 9800 PRO Lite wins against the RADEON 9800 PRO, sometimes it falls behind it. 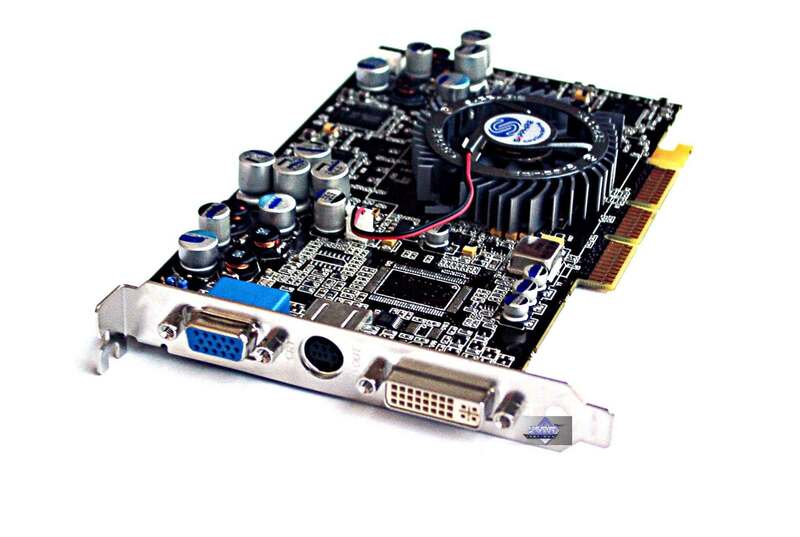 The competition against the GeForce FX 5900 looks the same. 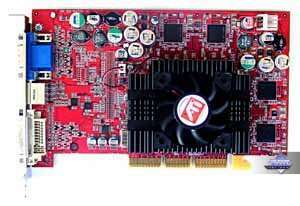 In this case the RADEON 9800SE with the 256bit bus wins a victory over the 128bit card based on the RADEON 9600 PRO, though it loses to the FX 5600 Ultra (400 MHz). 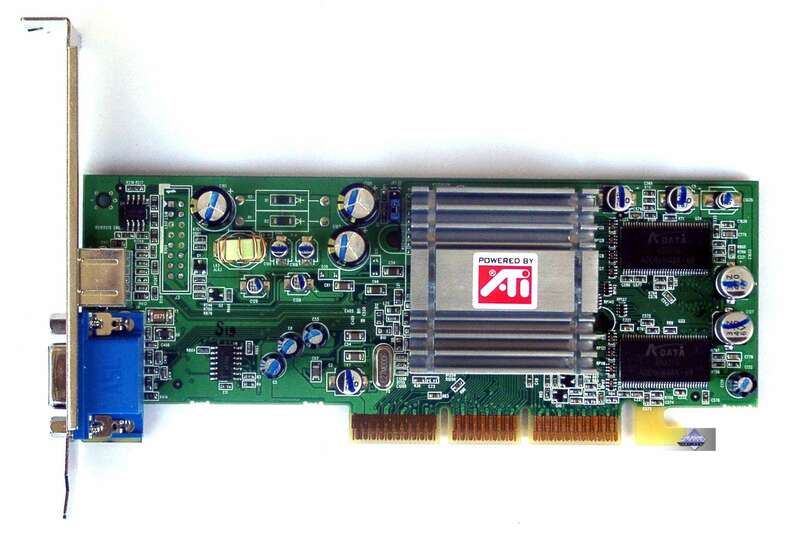 The pipeline unlocking makes this card almost equal to the RADEON 9800 PRO. 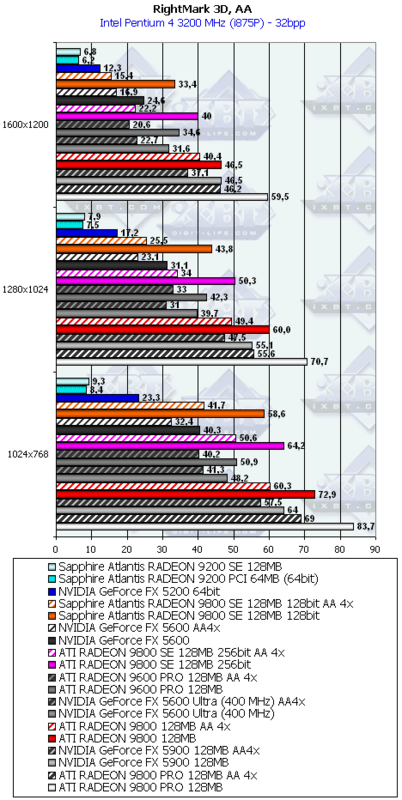 The RADEON 9800SE with its 128bit bus performs worse than its competitors. But the pipeline unlocking helps the RADEON 9800SE outdo the RADEON 9600 PRO by a great margin. The RADEON 9200 PCI fails to work in this test, and the 9200SE loses to the FX5200 64bit. 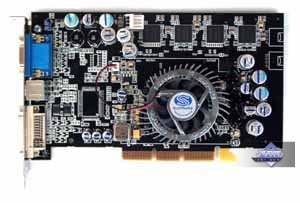 The RADEON 9800 PRO Lite is still behind the RADEON 9800 PRO, though the competition against the GeForce FX 5900 is more complicated. The RADEON 9800SE with the 256bit bus again yields to the RADEON 9600 PRO card with the 128bit bus as well as to the GeForce FX 5600 Ultra (400 MHz). 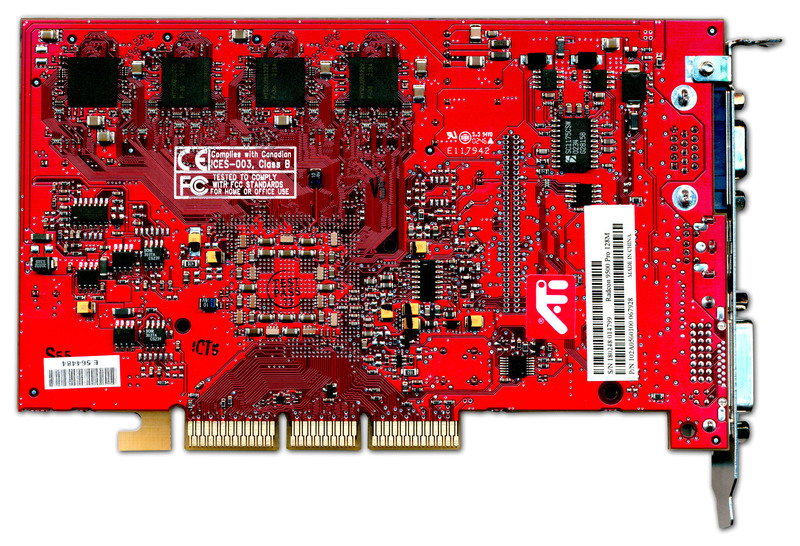 The pipeline unlocking helped this card come close to the RADEON 9800 PRO. The RADEON 9800SE with the 128bit bus again ends up losing. Unlocking the pipelines doesn't let it outsmart the RADEON 9600 PRO. 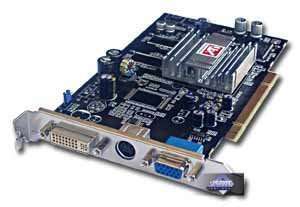 The RADEON 9200SE loses to NVIDIA's card but the 9200 PCI wins the battle. The RADEON 9800 PRO Lite is near the usual RADEON 9800 PRO, but, still, it looks a bit worse. The GeForce FX 5900 is beaten. The RADEON 9800SE (256bit) is generally on the level of the RADEON 9600 PRO. Also, sometimes it loses and sometimes wins against the GeForce FX 5600 Ultra (400 MHz). The pipelines unlocking brings it close to the RADEON 9800 PRO. 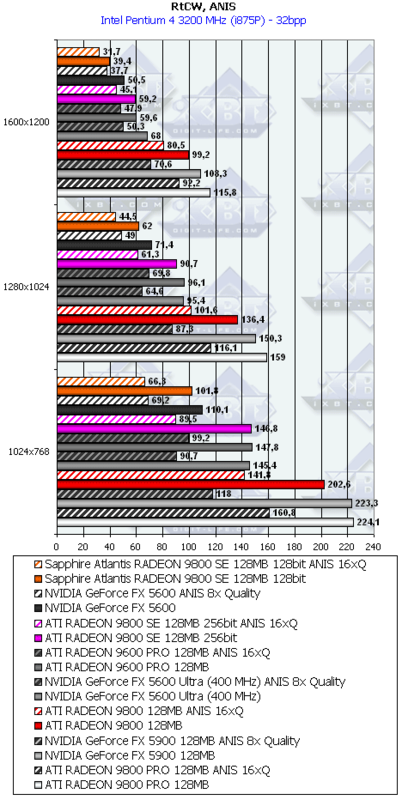 The RADEON 9800SE (128bit) looks bad, and the pipelines unlocking can't help it outrun the RADEON 9600 PRO. 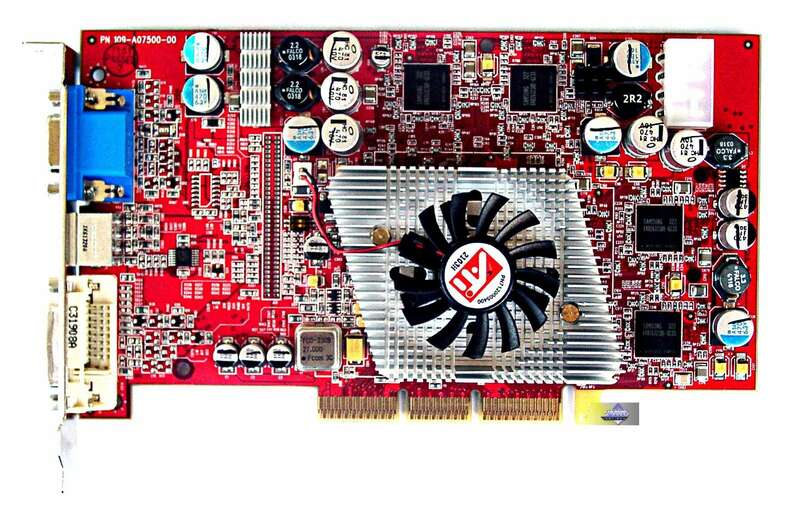 The RADEON 9200SE loses to NVIDIA's card but the 9200 PCI wins the fight. 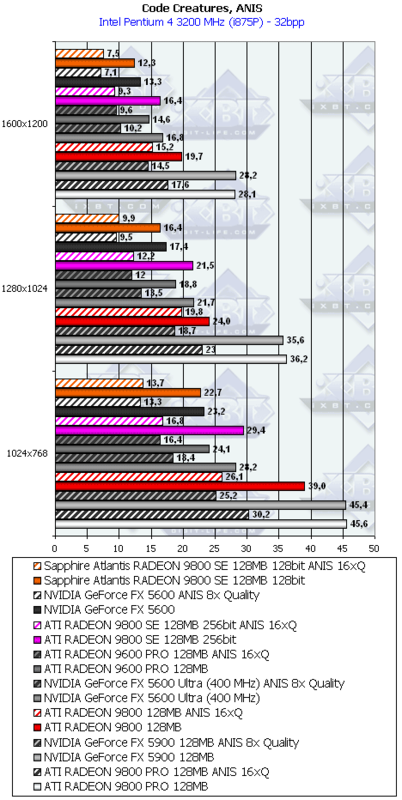 The RADEON 9800 PRO Lite is almost equal to the RADEON 9800 PRO and beats the GeForce FX 5900. 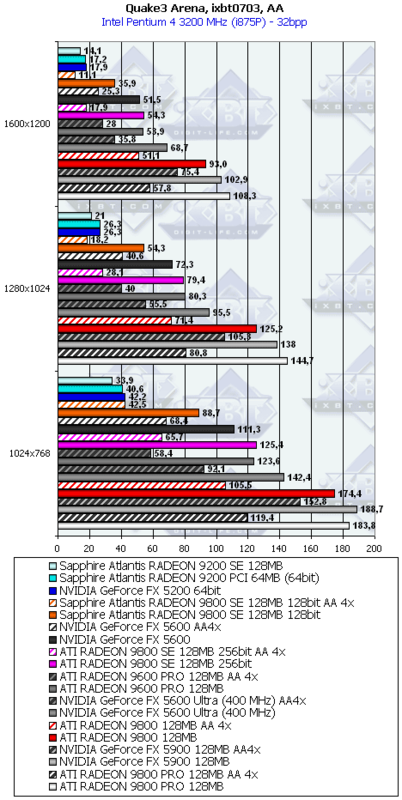 The RADEON 9800SE (256bit) looks stronger than the RADEON 9600 PRO and GeForce FX 5600 Ultra (400 MHz). The pipelines unlocking makes it almost equal to the RADEON 9800 PRO. 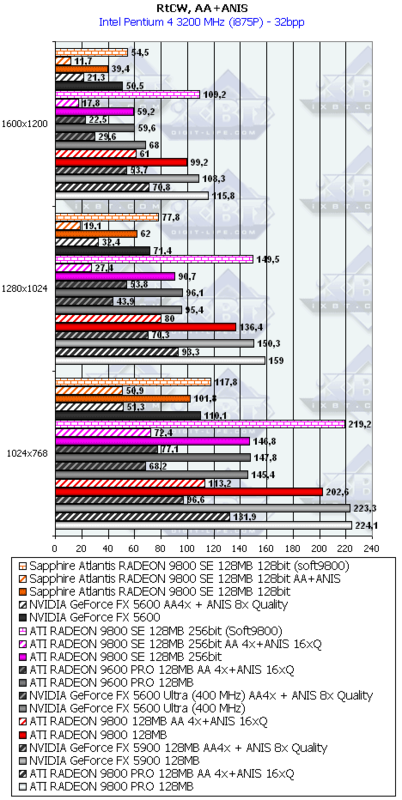 The RADEON 9800SE (128bit) beats the RADEON 9600 PRO with the pipelines unlocked. The 9200 and 9200SE lose to NVIDIA's card. 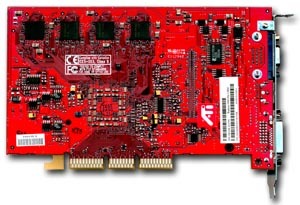 PowerColor RADEON 9800SE 128MB 256bit (Gold) is overpriced. 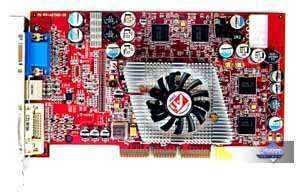 Sometimes it yields to the RADEON 9600 PRO having the price about $260. One had better get the RADEON 9700 PRO which has 8 pipelines and a 256bit bus and where there's nothing to unlock. 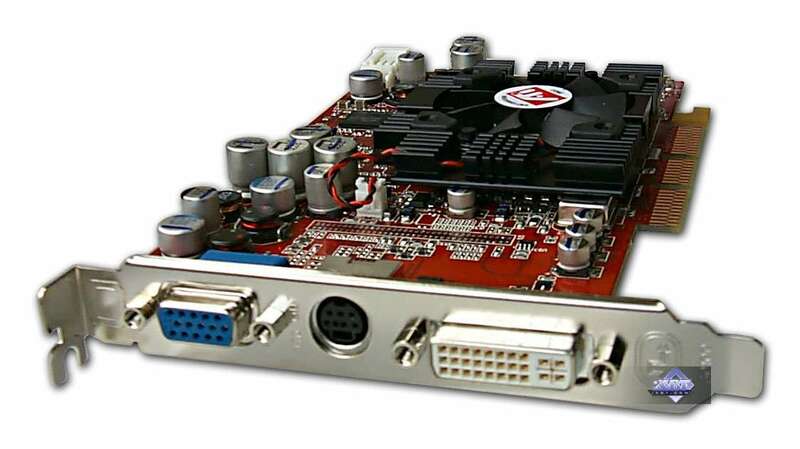 Remember that there are two kinds of the RADEON 9800SE on the market: with a 256bit bus (the design of the RADEON 9700 PRO, red textolite, black reference cooler, memory chips located at the angle of 90 deg. 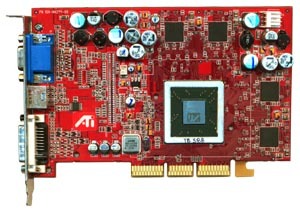 ); and with a 128bit bus (unique design similar to the RADEON 9500 PRO, the textolite can be of different colors, but such cards are currently produced only by Sapphire, that is why the textolite is black, the memory chips are located in a line). There is also the THIRD kind which differs from the SECOND one in the memory chips (TSOP instead of BGA). I want to thank ATI for not letting users to buy what has its own unique features. If you call a coffee-pot a tea-pot, it won't change its functions. But is that a right way?